Great entry. It is a good walkthrough for beginner! I played and win 10-8-6-4 pieces. 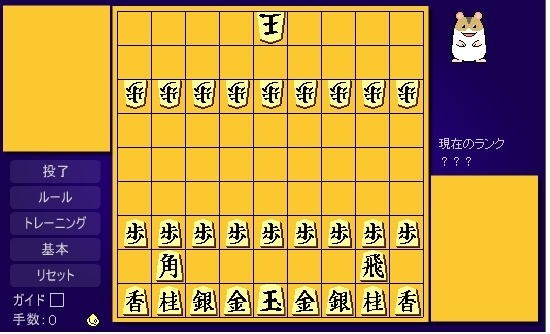 I think Hamshogi is excellent, but its handicap system is different from the standard handicap. I wish the Hamshogi owner can insert the standard handicaps into his flash, along with the already existed handicaps. Please informing him this idea. Thank you. I sent a message to the author to forward your comment but in vain. Its contact email address seems obsolete, unfortunately.